Thousands of Amazon workers receive food stamps. Senator Sanders wants Amazon, other companies to pay up. Packages move along a conveyor belt at the Amazon.com Inc. fulfillment center in Robbinsville, New Jersey on June 7. (Bloomberg photo by Bess Adler). The senator from Vermont is introducing a bill that would require companies to cover the cost of their workers’ food stamps, Medicaid and other government benefits. Sen. Bernie Sanders, I-Vt., will soon introduce legislation that would require large employers like Amazon, Walmart and McDonald’s to fully cover the cost of food stamps, public housing, Medicaid and other federal assistance received by their employees. The goal, he says, is to force corporations to pay a living wage and curb roughly $150 billion in taxpayer dollars that currently go to funding federal assistance programs for low-wage workers each year. “At a time of massive wealth and income inequality, the gap between the very rich and everyone else continues to grow wider,” Sanders said. Labor groups say that gap is particularly pronounced at the nation’s largest — and most profitable — companies, including Walmart, which has roughly 2.2 million workers, and Amazon, which employs more than 575,000. 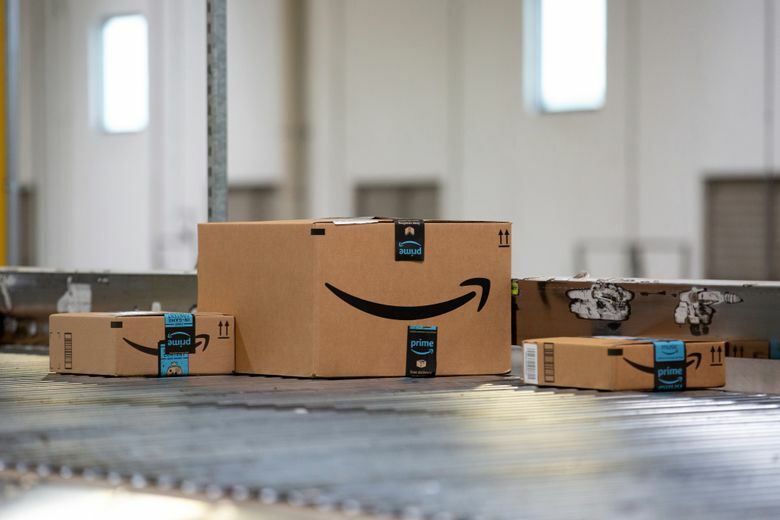 Public records obtained by the New Food Economy, a nonprofit news organization, show that thousands of Amazon employees rely on the government’s Supplemental Nutritional Assistance Program to make ends meet. As many as one in three Amazon employees in Arizona — and about 1 in 10 in Pennsylvania and Ohio — receive food stamps, according to an April report by the New Food Economy, based in New York. “While Mr. Bezos is the most egregious example, the Walton family of Walmart and many other billionaire-owned profitable corporations also enrich themselves off taxpayer assistance while paying their workers poverty-level wages,” Sanders said. Representatives for Walmart did not respond to requests for comment. Etches, of Amazon, said the company had created more than 130,000 new jobs “with highly competitive pay and full benefits” in the last year. She added that the average hourly wage for full-time workers in U.S. warehouses is more than $15 an hour, when stock and incentive bonuses are factored in. “We encourage anyone to compare our median pay and benefits to other retailers,” Etches said. The company did not say how many of its workers are part-time, but said that it hires thousands of temporary workers during peak holiday times.